The SR50A Snow Depth Measurement Sensor is a rugged acoustic sensor for measuring the distance from the sensor to a target. 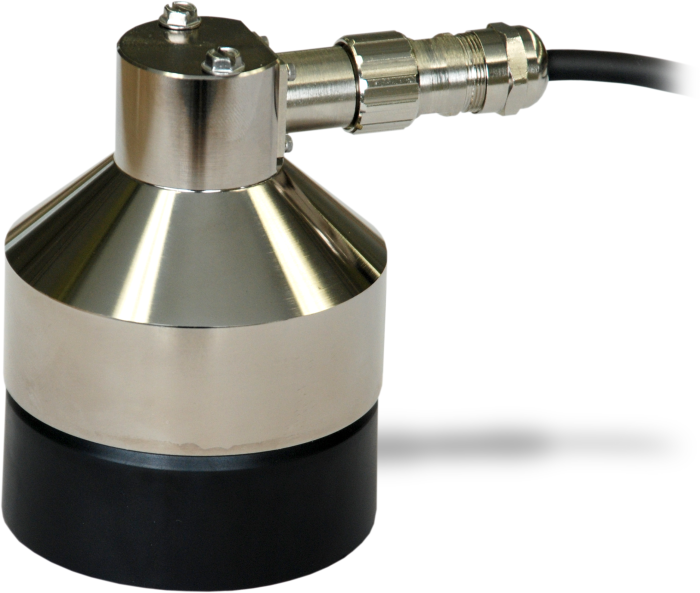 This sensor typically used for snow depth or water depth measurement, but it is well-suited for other uses. Note: We recommend model SR50A-316SS for marine environments. To achieve an unobstructed view for the SR50A's beam, the SR50A is typically mounted to a tripod mast, tower leg, or user-supplied pole via the SR50ATRIM or SR50ATOM crossarm mounting kits. The SR50A requires the use of the SR50ACBL-L for communications and power. *Requires an MD485 interface or similar RS-485 to RS-232 interface.